It is time a reveal another small truth about myself. I am My Little Pony obsessed! I kept all my ponies from the 1980's and from time to time I pull them out and let me kids play with them. As most of you know I have boys 2 amazing little boys. I thought for sure my love of My Little Pony would never pass on to them. Boy was I wrong! My BOYS loves the ponies and even though they are considered a "girl" item, it doesn't stop them from watching the show and even owning a few My Little Pony toys! I'm not one of those people who think girls should stick to girl things and boys to boy things. I love that my kids do what makes them happy and that they enjoy things outside the "clique" boy theme. With that being said I recently reached out to Shout! Factory and asked if I could please review My Little Pony dvds I was a bit nervous thinking they would say no since I only have boys.... And again I was wrong! They sent me DVDs for review and my little guys couldn't be more excited. Go Back To Where The Fun Began! You’re invited to return to Ponyland, the home of all your favorite classic Little Ponies, including the Earth Ponies, Unicorns, Pegasus Ponies, Flutter Ponies, Sea Ponies, Baby Sea Ponies, their human friends Megan, Danny and Molly and, of course, their dragon friend, Spike! Together, they live a life of games, songs and harmony with allies like the Bushwoolies and Furbobs. But, occasionally, there are problems in Ponyland and the Little Ponies of Paradise Estate must face evil witches, goblins, Stone Backs, Grundles and more! 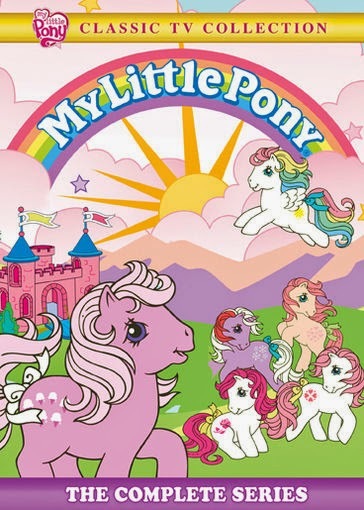 Now you can come join in the fun and adventure with My Little Pony: The Complete Series! These were the My Little Pony I grew up with! I was so excited to see the entire collection on DVD and my boys kept asking me who everyone was. I did forget a few names, but I remember many. I also think they were in shock to see what Spike and Apple Jack use to look like! Includes All 65 Episodes of My Little Pony! Since her arrival in Ponyville, Twilight Sparkle has learned the true meaning and value of friendship. With her very best friends — Rainbow Dash, Rarity, Pinkie Pie, Apple Jack, Fluttershy and, of course, Spike — Twilight goes on the greatest of adventures and comes back with even more lessons. 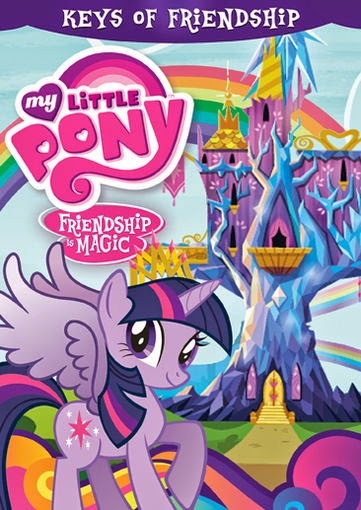 All of this has earned Twilight her wings and the crown of a princess and now you can learn what Princess Twilight Sparkle has learned and take with you the Keys Of Friendship. Now 20% Creepier! 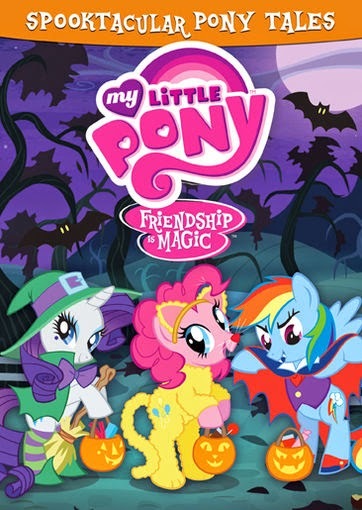 Join your favorite residents of Ponyville — Twilight Sparkle, Rainbow Dash, Fluttershy, Rarity, Applejack, Pinkie Pie and, of course, Spike — as they take on some of the spookiest adventures Equestria’s ever seen! Time to gather around and hold on tight, because these six exciting tales are a chillingly good romp! This is perfect for the Halloween season! 6 My Little Pony Friendship Is Magic: Bats! As I said I LOVED the vintage ponies. I grew up with names like Megan, Spike, Lickety Split and Firefly. With terms such as Teeny Tinys and sea ponies. I remember when there was a mail order pony and I would desperately run after my mom to the mail box just hopping my new pony arrived! I remember watching the shows and crying during the episode when the ponies lost their shadows. Even though My Little Pony look different and have a different set of characters the main message is still there. FRIENDSHIP! No matter what generation of ponies you are watching you can always count on them delivering the message of being a good friend and working together. As a mom I love that the show is good and wholesome. They teach kids about right and wrong. I love when Quinn watches an episode and afterwards tells me how Twilight Sparkle helped her friends or tells me that Apple Bloom and her friends are still working together to get their marks. And yes of course I watch with them and each episode proves that with the power of friendship anything is possible. The DVDs featured here are only a few of so many. As I said the ponies have been around since the 1980's Shout! Factory has an amazing collection of both vintage and current DVDs!